The basic plot from Amazon: After the sudden collapse of her family, Mim Malone is dragged from her home in northern Ohio to the “wastelands” of Mississippi, where she lives in a medicated milieu with her dad and new stepmom. Before the dust has a chance to settle, she learns her mother is sick back in Cleveland. 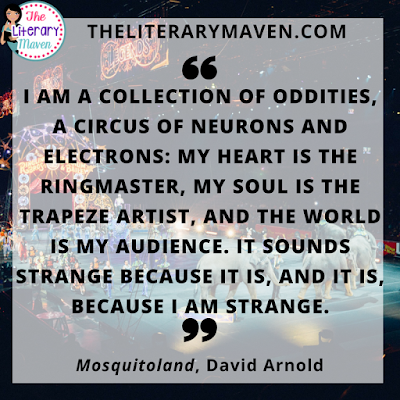 Why I liked it: It took me a while to get comfortable with Mim, the protagonist of Mosquitoland. One distractor was constantly thinking of the character of the same name from The Sword in the Stone, though the characters have nothing else in common. The larger issue, though likely intended by the author, was immediately being unsure of how much to trust Mim as a narrator. From the start she comes off as dramatic, but as the book goes on, you begin to realize that she is probably struggling with mental illness. You can't help but wonder which events are true, exaggerated, or possibly just in Mim's head. On her journey from Mississippi to Ohio, Mim meets a cast of colorful characters like Arlene, Walt, and Beck, but also darker ones like Poncho Man and Caleb. Similar to Devil and the Bluebird, there is some magical realism present in Mosquitoland as extraordinary events happen and characters and events come together in strange coincidences. There are several plot twists at the end of the novel, and although I suspected that something was up, I didn't have them figured out. Throughout the novel, you think Mim is writing to her aunt, but she is really writing to her unborn baby sister who will bear the same name. It turns out that her mother is not physically ill; she is suffering from depression, and Mim's stepmother isn't the villain she makes her out to be. Classroom application: The novel could be used as an addition to literature circles focused around the issue of mental illness. Challenger Deep would be another great choice and is included in this list of other young adult literature titles deemed as accurately portraying mental health issues. 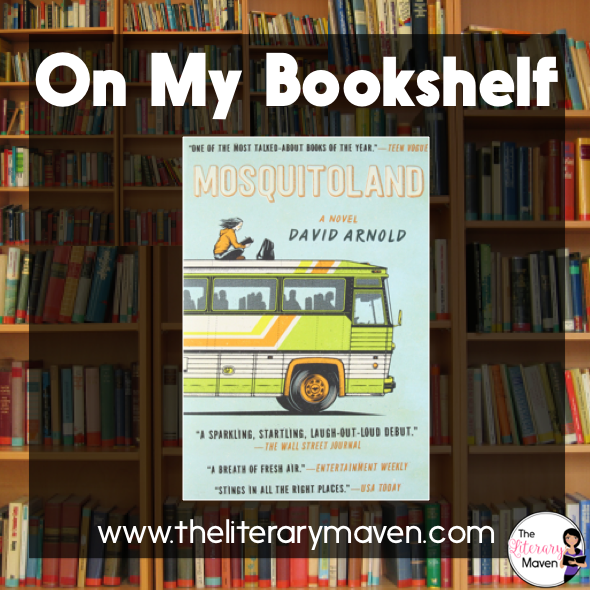 As I was reading Mosquitoland, Mim often seemed genderless to me. I wondered if that was the author's intention or a complication of a male author writing from a teenage girl's perspective. I would love to hold a classroom debate on the topic to see if students think that author's can write convincingly from a gender (or even a race or religion or culture) that is not their own. If you are interested in purchasing a copy of Mosquitoland for yourself, you can find it on Amazon here.